SEIU United Service Workers West represents over 40,000 service workers across California. We have been on the cutting edge of progressive activism, building the power of low-wage workers in service industries and in leading the fight for social justice on issues such as health care, housing, and immigration, and education reform. 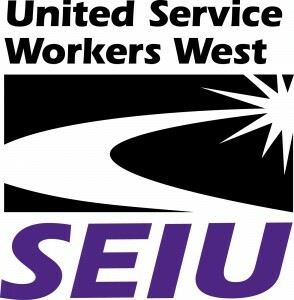 SEIU-USWW is currently seeking a dynamic candidate for the position of Member Resource Center Organizer based out of the Los Angeles office. This is an entry level position and requires fluency in English and Spanish, strong customer service, ability to interpret contract language, strong computer and negotiations skills, prior phone customer service experience, ability to deal with difficult persons and issues, and proven commitment to social justice. With the establishment of a centralized statewide call center system known as the Member Resource Center (MRC), Member Resource Organizers (MRO’s) answer member’s basic questions and provide advice over the phone regarding the union, the CBA (contract), workplace laws and regulations, and worker’s rights and responsibilities on the job. The MRC utilizes sophisticated call center and case management technology to provide equal access to all USWW members, irrespective of their employer, their geographic location or the nature of the member’s inquiry. Additionally, MRC staff assists in gathering important data from members, such as contact information, membership and COPE status, and in increasing membership participation in union activities and programs. Specifically, MRO’s assist members with contract inquiries, and provide advice on possible ways to resolve workplace issues and information about union campaigns and activities. MRO’s perform representational and advocacy duties on behalf of members, including investigating and processing cases (worksite issues) and file grievances. MRO’s also assist in coordinating with Internal Organizers and other union staff regarding worksite issues of strategic importance, including the identification of potential leaders and issues, for field staff to organize members around and engage in collective action. MRO’s must have the ability, skill, and commitment to assist the Local union to organize workers and represent members from all Divisions. Answer member phone calls and associated inquiries, including issue identification, investigation, and resolution. Attend member walk-ins (for case follow up). Provide excellent customer service and member support services. Interpret and enforce multiple collective bargaining agreements. Manage large caseloads while ensuring that member issues (cases) are investigated and resolved in a timely manner. Communicate, by phone and/or in writing with employers and management representatives with the aims of resolving workplace issues (cases) effectively. Conduct informal resolution meetings over the phone between members and employer representatives. Interface and interact with members, member leaders, Local union staff, and employer representatives. Document member interactions during member contact into the Local’s tracking system(s). Make recommendations regarding enhancements to processes and procedures (CMP’s). Update and manage member database(s) as assigned. Research relevant resources and information to assist members and resolve cases. Identify member representation needs and where necessary coordinate with other union staff. Adhere to established Case Management Protocols (CMP’s) and procedures. Meet call performance, call quality, and accuracy standards. On a needed basis, attend meetings, actions, presentations and trainings. Complete assignments, involving member support issues, union actions, events and campaigns. Assist in organizing members by informing members of participation and leadership opportunities. Encourage non-members (Agency Fee Payers) to become members by initiating membership and COPE conversations. Oversee the work of lost timers (as assigned). Assist and support the referral program (where it exists). Sound interpersonal and communication skills both oral and in writing appropriate to provide a quality member experience, including the ability to establish and cultivate respectful relationships with people from diverse ethnic, social, and economic backgrounds. 2 to 5 years of experience in a call center, help desk, customer service, or similar environment, including call logging, incident tracking, case management, and/or similar tasks and responsibilities. Possess relevant education or experience in the labor movement and/or social and economic justice activism with a special emphasis on addressing worker (member) concerns, resolving workplace issues, contract enforcement, and organizing. Ability to work effectively with members and staff from diverse backgrounds. Committed to furthering the Local’s mission and programs, including participating in union wide campaigns focused on internal and external organizing, building political and legislative power, and strike support. Demonstrated understanding of the organizing model and how it can be used to empower members and ensure positive outcomes at the workplace. Working knowledge and understanding of collective bargaining issues and human resource management practices. Demonstrated ability to understand and apply labor law and employment-related policies, practices, and procedures. Sound organizational and time management skills to effectively manage and prioritize work subject to deadlines in a dynamic, fast paced and challenging environment both as an individual and as a member of a team. Excellent analytical and judgment skills as demonstrated by the ability to assess information and evidence and decide on appropriate course of action(s). Demonstrated ability to formulate and meet measurable performance goals and objectives. High level communication skills, including excellent writing skills for numerous forms of business communications including presentations, letters, email, and other representational correspondence. Strong computer skills, including Microsoft Windows, Microsoft Office, Internet, databases, and other productivity software. Competency in typing and use of a computer keyboard. Ability to communicate in English and Spanish both orally and in writing. Ability to effectively deal with difficult persons and issues. Ability to work in a largely sedentary position and work environment. Willingness to work long and irregular hours, including evenings and weekends as needed. Competitive salary (based on Staff Union Contract) and excellent benefits, including health insurance, pension plan, paid vacation, sick time and paid personal time off. EMPOWERING MEMBERS WITH THE TOOLS TO WIN AT THE WORKSITE!